Karen Blaschka studied Latin and History (First State Examination - Staatsexamen Lehramt) at the University of Potsdam as well as Greek at the Hum­boldt-University of Berlinand at the University of Potsdam. After working as a student research assistant at both universities in Classics and Educational Science she was awarded a doctoral scholarship from the Studienstiftung des deutschen Volkes. 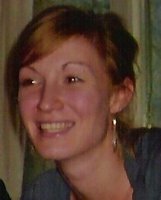 Karen Blaschka has been working at the University of Potsdam as Research Assistant since 2011. She successfully completed her DPhil course in 2013 with a doctoral thesis on Lucan's Civil War (published as Fiktion im Historischen. Die Bedeutung der Bildsprache Lucans für die Konzeption der Charaktere im Bellum Civile. Litora Classica 8. Rahden/Westf. 2015). Karen Blaschka's main research interests are figurative language, mainly in ancient epic poetry, but also in prose works and Latin historiography.